Grandma, Grandpa, Auntie Janne and Uncle Adam came down from Baltimore/Washington DC to celebrate Christmas with us this year. We enjoyed a relaxing Christmas Eve with lunch at Panera and then a trip to the "movie feeter" (Lexie) to see Tangled. Growing up, it was always our family tradition to go see a movie on Christmas Eve. Jacob and I continued that tradition the first year we were married but then had to stop because we always had a child too young for the movies. So this was the first time in eight years that we've been able to do the traditional Christmas Eve movie and EVERYONE was excited! The kids all sat quietly through the movie and they all gave it rave reviews-- so if you haven't seen Tangled yet, we highly recommend it. After the movie (and a last minute Target run) we came home for pizza and Christmas movies. 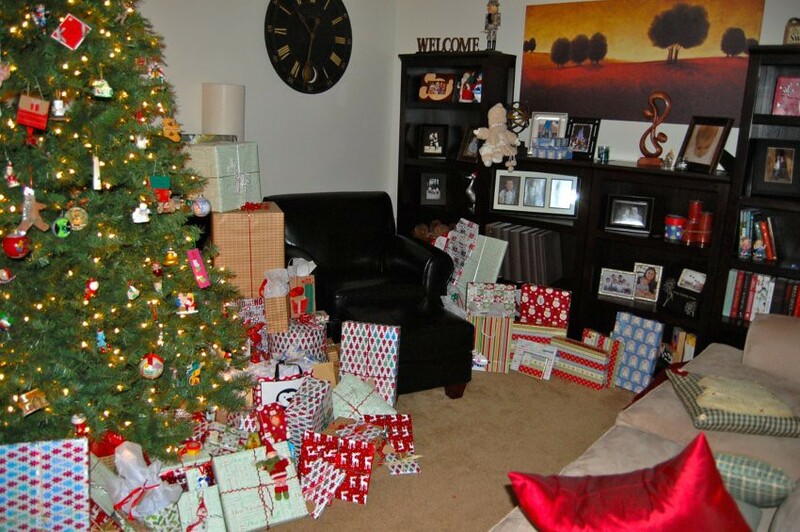 And then it was time for the kids' favorite part of the night- opening one present! When we put up the Christmas tree this year we didn't put up the star because that has always been Jacob's job. We finally got around to putting it up on Christmas Eve and each of the kids wanted to see if they were finally tall enough to put up the star. 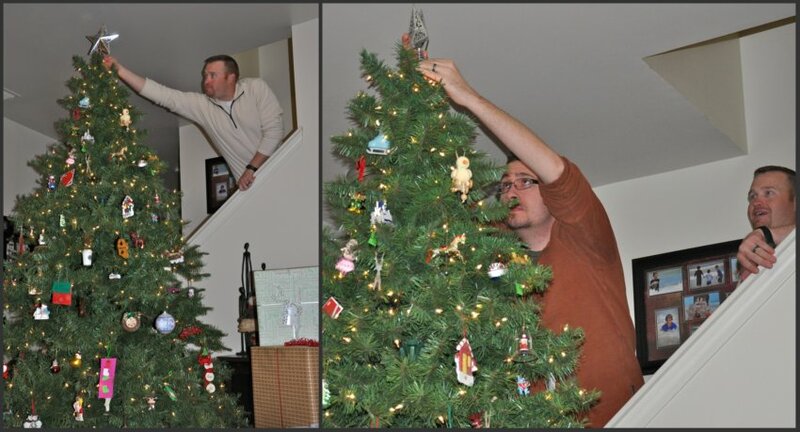 In the end, Uncle Adam had to put the star on. 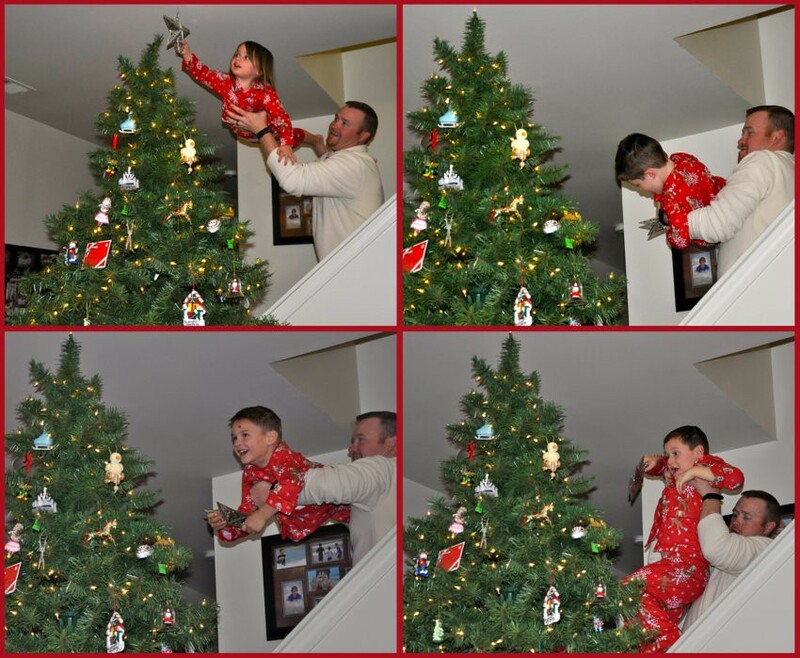 Jacob wasn't quite tall enough to do it without a ladder on our new tree, but Uncle Adam was the perfect height!